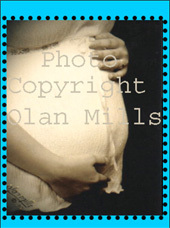 The greatest thing about this website are the readers who have submitted their own ideas for others to see - which makes this site a valuable resource for all of us who are planning a baby shower. Thanks to everyone who has submitted their baby invitation ideas! 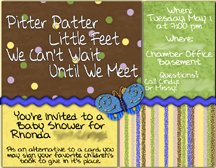 Do you have a cute Baby Shower Invitation that you would like to submit? Submit it here! 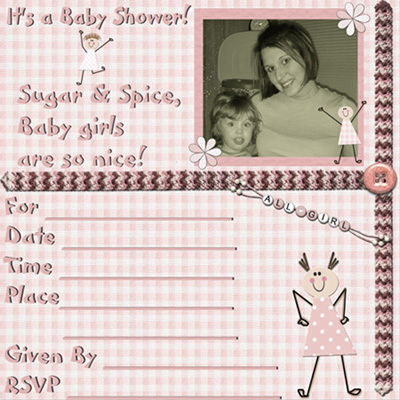 Our baby shower invitation ideas page is a forum for baby shower hostesses and/or mother's-to-be to share and show off their baby shower invitations. It is a great place to come and get cute ideas to make your own invitations!